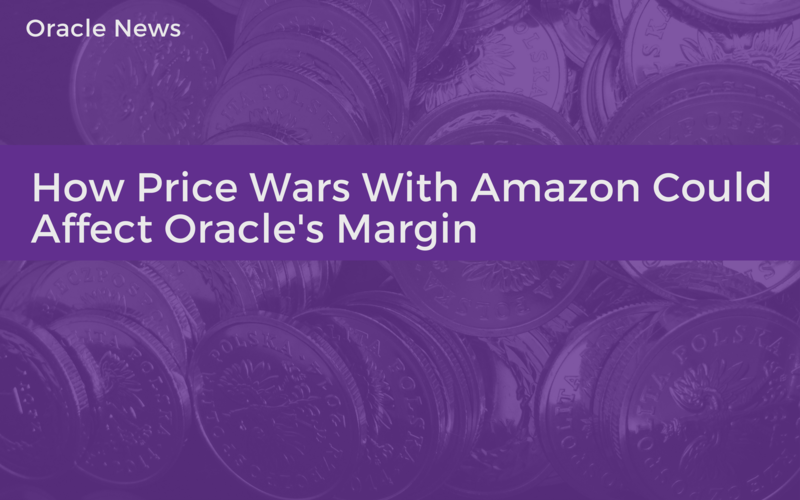 Earlier in the series, we discussed the growing competition in the database space that has fueled price wars between Oracle’s (ORCL) Database 18c and Amazon’s (AMZN) Redshift. Though Amazon has a small presence in the database space, it is an undisputable leader in the cloud space as its market share continues to be “bigger than its next five largest competitors combined,” as reported by Synergy Research. Considering Amazon’s dominance in the cloud space, Amazon’s presence and scale in the database space will likely increase. Though Oracle has a ~40% market share, open source databases and Amazon’s growing interest in the database space cannot be ignored. During its re:Invent 2017 Cloud conference in November 2017, Amazon announced two new database offerings: Amazon Neptune and Aurora Serverless. Amazon Neptune marked the company’s entry into the graph database market. Amazon’s Neptune is a graph database offering that is currently in “limited preview.” Graph analysis pertains to the exploration of network relationships, as in customers in a retail environment or people in a social network. The relational database stores data like a spreadsheet. Unlike the relational database, a graph database stores data that enables the complex hierarchical framework to be stored and retrieved efficiently. Aurora Serverless is based on Amazon Aurora. Amazon Aurora is a relational database service and the company’s flagship database offering. It is currently under review and is expected to be available in early 2018.